Classics Season is back, and with it is one of the best times of year to get out on your bike. Complete 127km between the 9th and 29th of April and earn a £50 ($65) Reward at lecol.cc and unlock the Le Col Classics Challenge badge. If you complete 127 km in one ride you'll be in with a chance of winning a full summer and winter cycling kit setup worth £2,000 (over $2,500) from Le Col.
"As a huge cycling fan, the Classics are my favourite races in the professional calendar. Always exciting and each race unique, they're the perfect inspiration for turning up the training dial and pushing that bit harder. Forget about changeable weather conditions giving you an excuse to skip a ride, get out there and push yourself. It will pay off when the season's in full swing." Every day we'll give athletes who include #LeColChallenge in the title of their Strava Activities the chance to win Le Col kit. Be sure to also join the Le Col Strava Club for the latest updates from Le Col.
To learn more about Le Col's Strava Challenges please visit www.lecol.cc/strava. There are three tiers of prizes available during the Le Col Classics Strava Challenge. 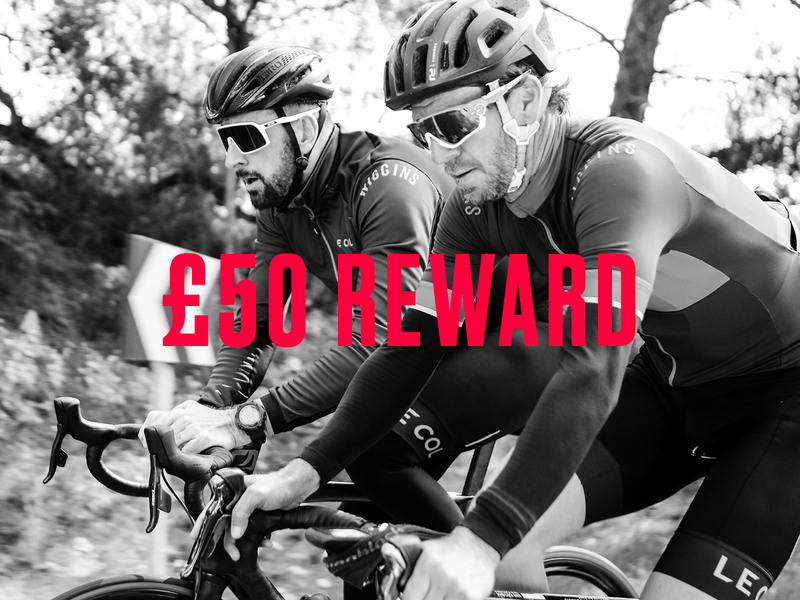 1) Complete 127km over the three week period to earn a £50 ($65) Reward at lecol.cc, valid on any order over £100 pre-discount (£50 minimum spend). 2) Complete one 127km ride within the three week period and you'll be entered in to a sweepstakes to win £2,000 worth of Le Col kit. 3) We will give athletes who use #LeColChallenge in their activity title the chance to win daily kit prizes. 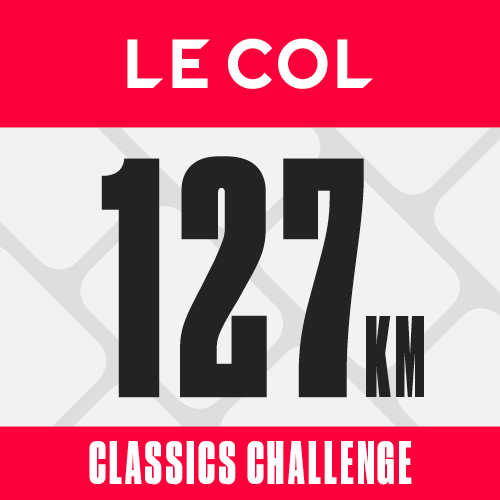 Ride 127km to receive the Le Col Classics Challenge badge and a £50 ($65) Reward at lecol.cc. Manual entries, e-bike rides, and non-virtual trainer rides will not count toward your challenge effort. Activity privacy settings must be marked "Everyone" to count towards the Challenge goal. The description of this challenge is provided by Le Col.
To learn more about how to use Strava, please visit the Strava Support Center or email support@strava.zendesk.com. All other inquiries should be directed to Le Col. Prize eligibility and fulfillment is at the sole discretion of Le Col. Upon completion of the challenge, each finisher will be eligible for a £50 Le Col Discount Voucher which can be redeemed at lecol.cc on all orders with a pre-discount value of over £100 (£50 min. spend). Challenge finishers will receive an email containing a link to a page on the Le Col website. Users will be required to enter their details to receive Le Col discount vouchers and sweepstakes entry. All entrants must be over 18 years old and must abide by the competition Terms & Conditions, available here: https://www.lecol.cc/strava-challenge-tcs.